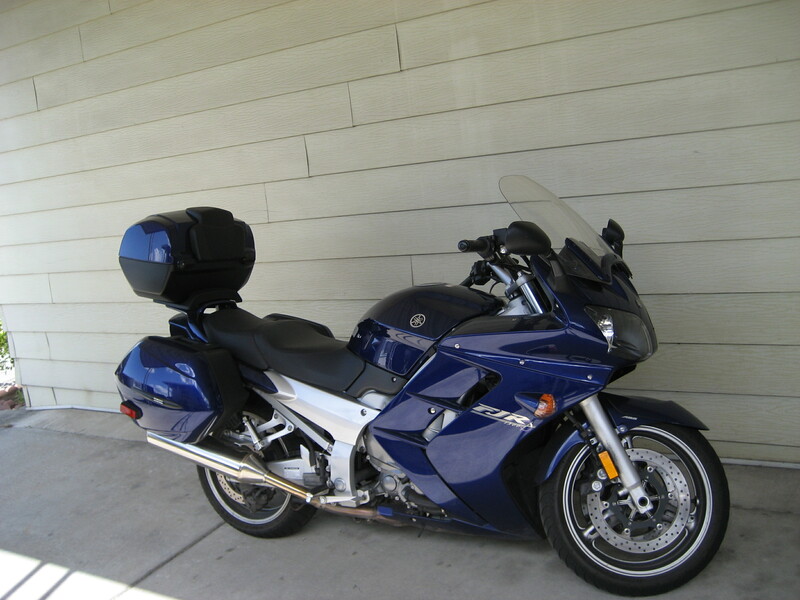 In February, 2005, I decided to jump in on the second round of availability for the Yamaha FJR 1300. It arrived in April and you can hardly keep me off of it. Fuel injection and about twice the power of my Seca 900 (and only slightly heavier). Ah - life is good. My friend Dale sold his Seca 900 and I jumped too late - Kurt got it. But luck of lucks, Mikey also wanted to sell his, once he knew he liked his Cagiva Gran Canyon. I got it. I love it - great riding position, nice power - just feels like it should. Update, (2007): Still running fine, but not getting so many miles with the FJR in place. I went and did it - I bought another bike. I bought the Seca from Bill now that he has his new Triumph Thunderbird. 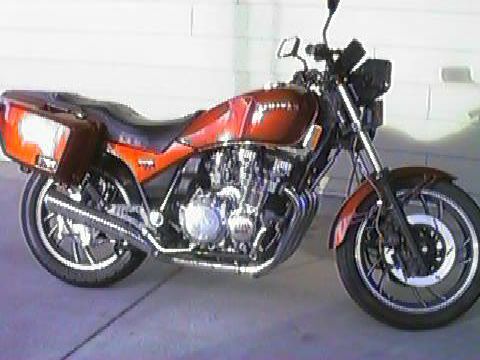 He sold me the Vision when he bought the Seca from Dale in the summer of 1995, about the same time that Dale bought his Yamaha GTS 1000. Got all that? I'm still looking to buy a new bike, but no hurry - I'm having lots of fun the way things are. I'm thinking in another year or two the motorcycle industry will have swung back from this racy sport bike craze and show us some more standard bikes. We'll see. Update, (2007): The carburators are not right - I hope to get to them this summer and maybe get it running again. After a few years of my buddies trying to convince me that I really needed a motorcycle, things came together and I bought Bill's 1982 Yamaha Vison 550. With the help of the Motorcycle Safety Foundation Rider Safety training class, I was on my way to riding. Haven't stopped since. Update, (2007): Not running right now - but it may just need an afternoon of attention. She's BACK! Yup, my vision has returned from Mr. Dale's Motorcycle Resurrection Center. We reassembled the transmission, engine and everything else in about ten hours with a break for lunch. It runs GREAT! (It's also quieter now as we fixed an exhaust leak). The final version is above. The original problem was that in third gear, under hard acceleration, the transmission would down shift into second. This was an exciting experience as the bike would act like it was braking and the engine would race. Actually, more than a little dangerous, so Dale convinced me it would be fun to tear it apart and fix it. He was right. The problem was not exactly as expected - doesn't appear that the shift fork was bent very much: Dale measured 2/1000ths, not enough to cause the problem. However, replacing the fifth wheel gear that had the rounded dogs seems to have solved the problem.